Unfortunately, there are many great people up and down the country whose great work often goes completely unrecognised. Unlike footballers, actors or musicians who are invited to black tie events and awards ceremonies as a matter of routine, everyday working people are just expected to get off on the satisfaction that they are making a difference. This includes nurses, teachers, firemen, street cleaners and just about everybody in between. Vets are one of those types of people too, as are their assistants and colleagues. If you have a pet, or even just love and appreciate animals, you will be aware of just what a skilled and tough job it is being a vet. You need patience, intelligence, technical skill and a host of other capabilities. The difference a vet can make to a pet's family and owners as well as to the animal itself is immeasurable, and deserves to be acknowledged. That's why the Petplan Veterinary Awards were set up. The awards are often referred to as the Oscars of the veterinary world and as such carry a huge amount of weight within the industry. If your nominee ends up taking home one of the awards, perhaps to take up pride of place on the mantelpiece at home or maybe adorning the practice waiting room, it could make a huge difference to their career. So to give that particular individual the best possible chance of winning, it best to bulk up your nomination with specific examples of how they have gone beyond and above the call of duty, showing just how good they are. Bear in mind that thousands of pet owners up and down the country will be sending in their nominations in too so try to make yours as strong as possible. Because veterinary practices are about more than just the vet, there are four additional categories for which you can send in nomination for. These include Vet Nurse of the year, Practice of the year, Practice Manager of the year and Practice Support Staff of the year in addition to the Vet of the Year. From the thousands of nominations, a shortlist of three will be drawn up for each category, judged by a panel of independent industry experts. These finalists will be invited to the 2014 awards ceremony, held in April, with the winners announced. If you think that your local vets deserve a pat on the back for all their hard work then go online to the Petplan website and nominate them. Unfortunately, animals can’t say thank vets for everything they do for them. With the Petplan Veterinary Awards you could say it for them – so what are you waiting for? This post has been brought to you in association with Petplan. we should give their doodle a catch!!!" Can this be a poem??? PS: I'm not a native English speaker!!! at least I got them in rhythm!!! This is my very first try!!! Oh yes Agnes! Great job for your first try actually... amazing! Thank you! That is a terrific idea. We love our vet. So nice that someone is awarding them for all they do. I haven't heard of the award. Vets are great. I am glad they will be recognized. Great idea and we look forward to hearing about the winners. Have a tremendous Thursday. This is great, vets hold high marks in our book. 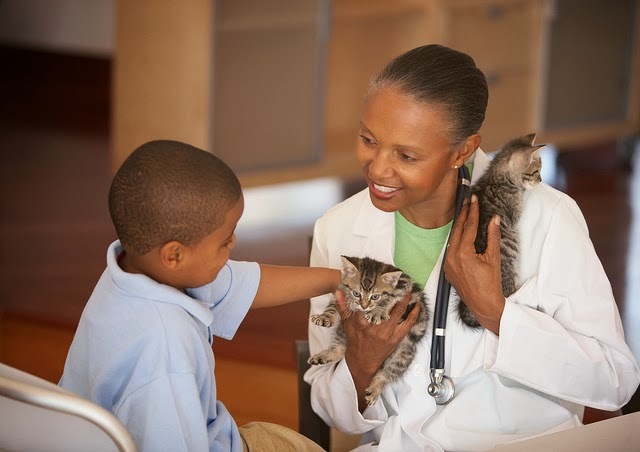 I used to want to be a vet and I wish I had pursued it! Sorry to hear that Mollie. Once you find the perfect one, you better hold on to them dearly! I'm thankful that I have a good vet, I'm thankful the assistant has humor ( a lot) and I'm thankful that some of my friends are still here, because they had a good vet. A vet award ist great! We went through a lot of vets before we found the clinic we are now at. They are wonderful and we love them...I still hate going there, but I know they only want the best for me. Hi Savannah and mom - Thankfully Jaime (below) has answered your question! I am going to send you a message on Twitter or something about it though. This is PAWTASTIC Miss Ann! I did not know there were awards for being a Vet, a Vet Nurse, etc. but great dawg...everyone deserves a special treat every now and again! Hi Ann! Thanks for a very well-done post. Just as a heads-up, the awards you reference are actually Petplan UK's awards - and unfortunately U.S. veterinary professionals aren't eligible. BUT, the good news is, Petplan US (whom I work for, full disclosure), also has their own version of the Vet Awards! The only difference is, nominations close November 15, and the winners will be announced in Las Vegas in February. To learn more and to help people recognize their amazing vets, vet techs, practice managers and animal hospitals, just visit to www.GoPetplan.com/vetawards. Thanks! Thanks so much for sharing this Jaime! We are sure glad the Vets are our rhere for us! Its nice the vets are being recognized. Not only do they need animal skills, they need people skills at well. I often wonder how they deal with ignorant people without a clue how to care for their pets, or people who are callus and uncaring. I've dealt with those kinds of people a lot. It's always frustrating, sad, or makes you angry. It gets easier with time and practice. Many people are completely clueless, and every time I was able to educate someone it felt great. I think that's why I like the exotic animals so much. So many exotic pet owners are just clueless about their care, and it's the reason they get sick. Sometimes you just have to hold your breath, clear your mind and be as non-judgmental as possible. Unfortunately, many humans take many of the things they are used to for granted. But what if they were not there? They'd be lost! I'm not fan to going to the vet but they are going extraordinary work to keep us healthy. It is nice that they should have their rewards. What a great thing! So many people that do good things such as vets are overlooked. Our vet is very caring, and his support staff is as well. They always call us to check up on our animals when we've had any kind of issue. We have the most awesome vet in the world. We just love her to bits! ...ok, Katie would LITERALLY like to turn her to bits. We'll definitely check out the nomination info! Great idea. I too remember wanting to enter the vet field when I was a teenager, but then I didn't do well at the sight of blood, so that thought was a fast passing one! I totally agree, too, that a vet needs to have good people skills as well as being great with the health care of their patients. Since our pets can't talk, we are the ones who have to understand the information the vet is giving us, to be able to make decisions in our pets' best interests. And sometimes those decisions are critical. And it also certainly helps if you have a vet and staff that are truly compassionate, gentle, and caring, Great article!